If South Africa hasn’t made it to the top of your ‘must-visit’ list, then I’d be surprised. 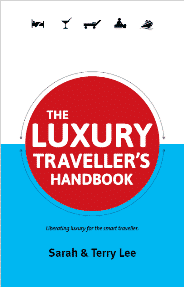 Most people are enticed by the country’s rich mix of impressive wildlife, beautiful weather and head turning array of great food and South African wines. 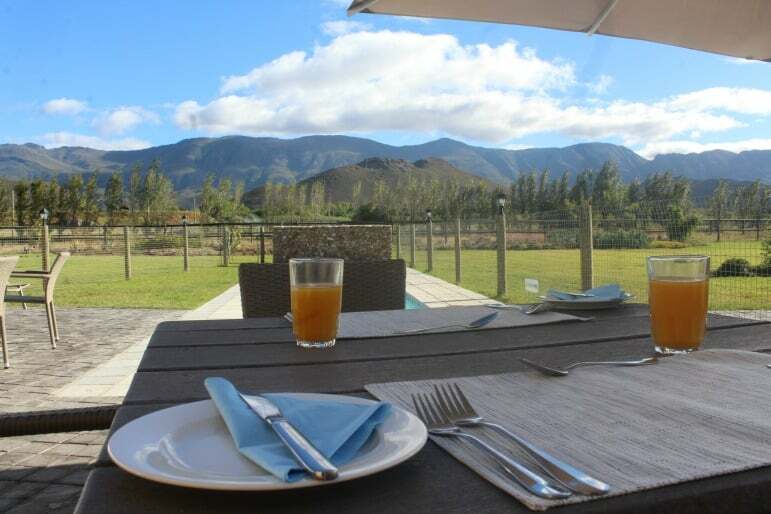 But most who visit for the latter focus their attention on places like Stellenbosch or Franschhoek, which are undeniably popular for a reason. However there’s a juicy alternative to those starry wine-country faves, but it’s not going to remain hidden for long. The Robertson Wine Valley is home to breathtaking countryside, exceptional wines, and one of the most spectacular drives I’ve ever taken, along the dreamy Route 62. 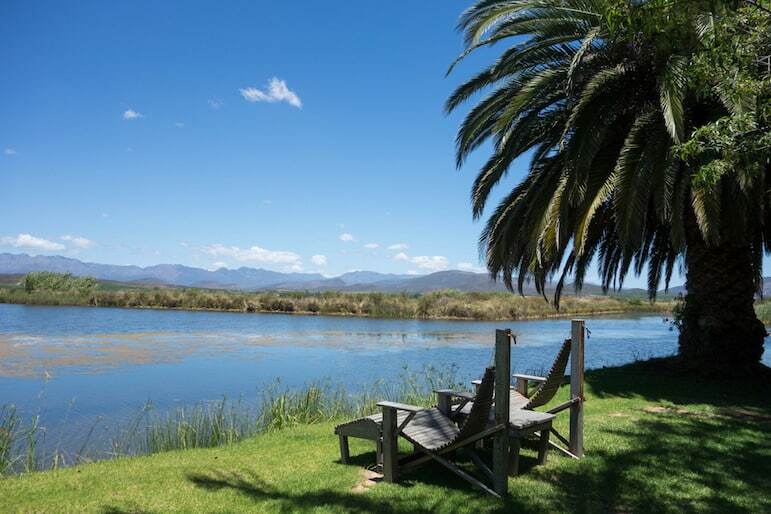 A couple of hours south of Cape Town, Robertson is a little further than some of the alternative wine valleys. 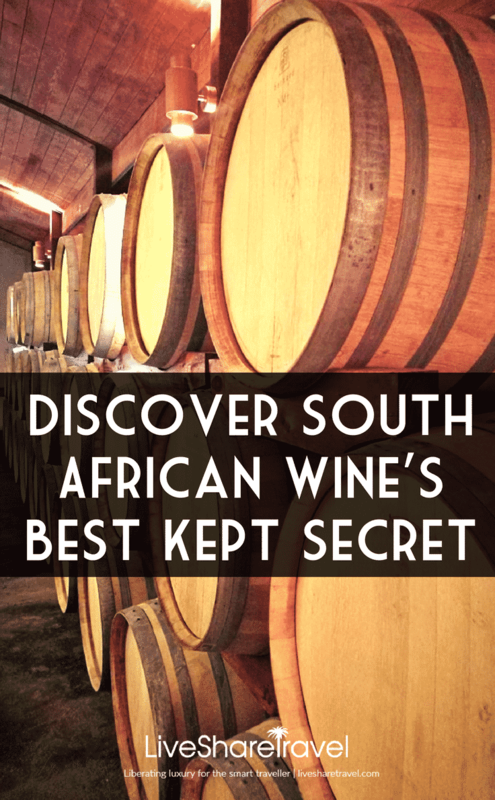 But it’s worth the extra schlep as you are rewarded with over 50 award-winning wineries – including the incredible Graham Beck – and world class food too. 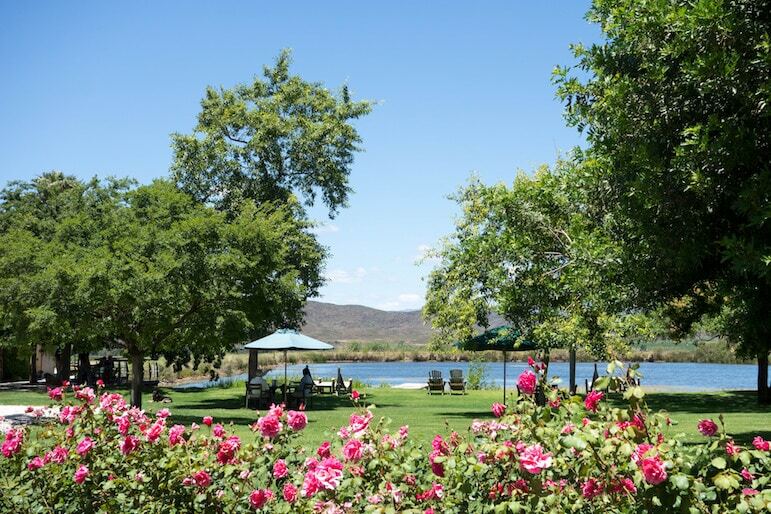 Although you can easily ‘do’ the valley in a couple of days, I would urge you to linger awhile to enjoy everything Robertson has to offer: from charming, picture perfect Montagu, to hot springs you can take a braai (BBQ) down to along with all of the fantastic wineries you would be crazy to miss. One of the first things that struck me on my visit to Robertson was the sheer volume of artisan suppliers who all seem to know each other, and never have anything but praise for each other’s efforts. We enjoyed a gourmet olive oil tasting at the Marbrin Olive Farm, where we were swiftly schooled in the art of all things olive oil. We learned that you can absolutely cook with Extra Virgin olive oil and the differences between black and green olives – it’s simply the stage they are at in the ripening process. It was also incredible to see the family business at Platform 62 flourish, where all of the valley’s wines are showcased along with some of incredible craft gin and brandy. We feasted on a hearty Sunday lunch there afterwards, and it was one of the best home-style meals we ate in South Africa. The #WineForGood campaign has brought together the wineries to give back to the community, each providing something different but equally as important for the people. Ashton have been helping those less able to provide food for themselves with a meals on wheels service, in operation since the 1960’s and Graham Beck is passionate about sustainable, long term strategies to empower farmers and their families too. When we visited, we discovered many of the employees were born and bred Graham Beck-ers, and it was clear to see that, despite being a huge company, it was very much rooted in family and community. 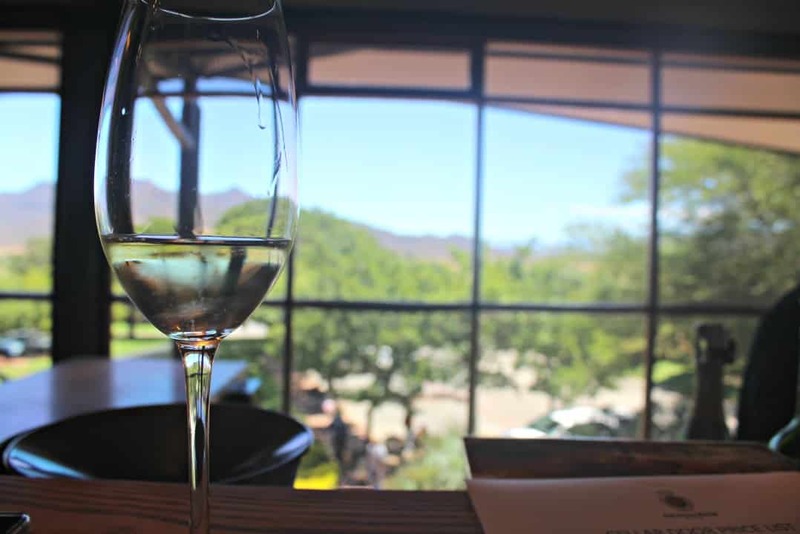 Although it’s easy to visit (and fall in love with almost all of the wineries in town, we particularly love Zandvliet – a newer addition to the wine valley ‘gang’ but one not to be missed. Along with spectacular gardens, and a charming wine cellar bedecked with décor to drool over, the wine and food pairings are nothing short of exquisite. From the sticky fruit cake we ate with a full bodied red wine, to the delicate South African dessert wine, we left with our hearts and stomachs full! From the small but perfectly formed Zandvliet we continued to the luxurious Graham Beck Wine Estate, and what a change! Another spectacular view beckoned, but what was inside really blew our minds. For the uninitiated, Graham Beck makes ‘Method Cap Classique’ wines – South Africa’s answer to champagne. It’s so delicious, both Nelson Mandela and Barack Obama chose the fizz for their respective inaugurations. So you’d be in very good company toasting with a glass of bubbles here. 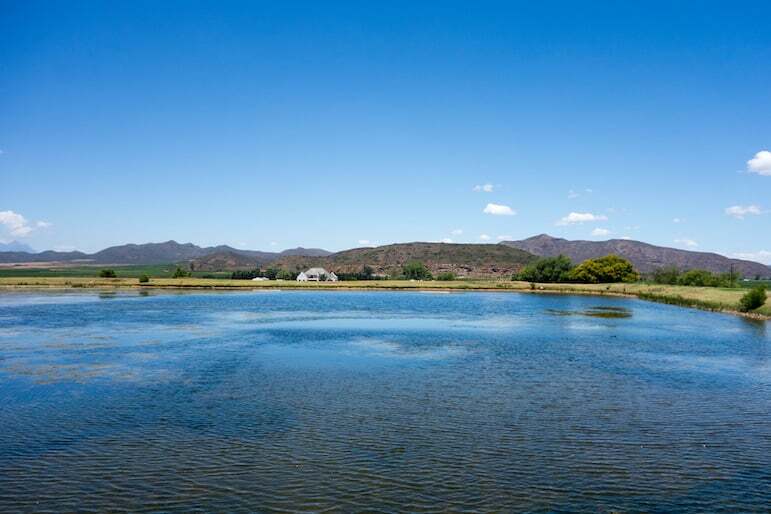 Also, though we didn’t visit the Excelsior Wine Estate, it was highly rated by many people we spoke to and you can even blend your own wine there to take home. If you aren’t imbibing (I wasn’t, as I was pregnant at the time!) do NOT despair! There are plenty of alcohol-free activities to partake in and that doesn’t only include eating ALL the delicious food on offer! 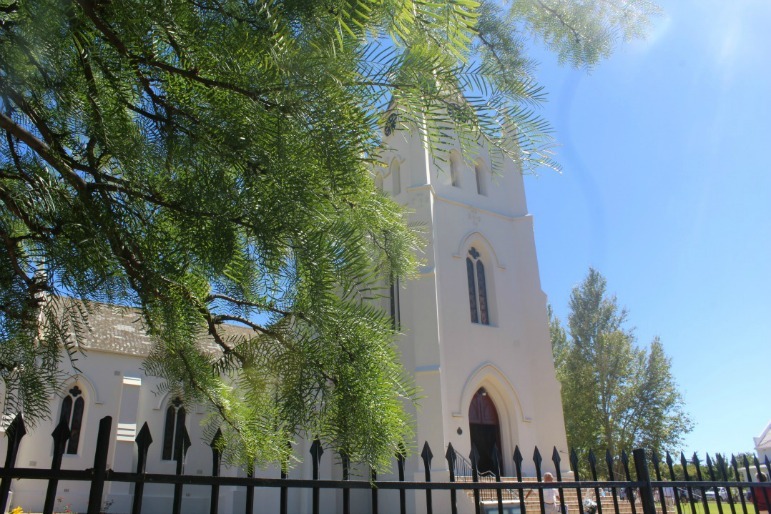 We spent a beautiful sunny afternoon wandering the charming town of Montagu where we found plenty of cute boutique shops and coffee stops en route. We also enjoyed the most spectacular sunset of our lives over a delicious dinner at the Rosendal Winery and Wellness Retreat. Although we didn’t stay, the retreat offers beautiful packages including accommodation, wine and chocolate pairings and spa experiences. If all the eating and drinking has become far too much, it might be time to take a hike ending at the natural hot springs where you can soothe your muscles in the warm water afterwards. And it being South Africa you can, of course, find yourself in a game reserve spotting wildlife. The Sanbona Wildlife Reserve is enduringly popular for it’s seamless blending of outdoor pursuits and, of course, wine! Camp out overnight and enjoy everything the valley has to offer while you tick off the big five one by one. Your article reminded me of a friend who lived in Johannesburg for 3 years, who said she moved to South Africa expecting nothing and ended up getting blown away by it. :) I remember in 2013 when she first came home for a vacation she raved about her adventures in Cape Town and swears by their wines. Now this friend isn’t really a wine drinker and the fact that she LOVED it says something. LOL! I like how local wineries stay rooted to their values and give back to the community. Companies like these always get my support because they deserve it! Great write up Lucy! Can’t wait to talk to my friend again about her South African adventures!